You may know that cranberries are a great source of antioxidants, but do you know where they come from and how they are harvested? A few years ago I found out when I visited a cranberry farm in Ottawa, Ontario. Turns out they are related to the blueberry and grow on vines in bogs. They are typically flooded several times during the growing season. At harvest time the bog is flooded and then special equipment agitates them to shake them loose from the vines and they float to the top of the water. The cranberries are then corralled and removed from the water. Kind of interesting don’t you think? So after all that effort to harvest these yummy berries here’s a delicious way to enjoy them. 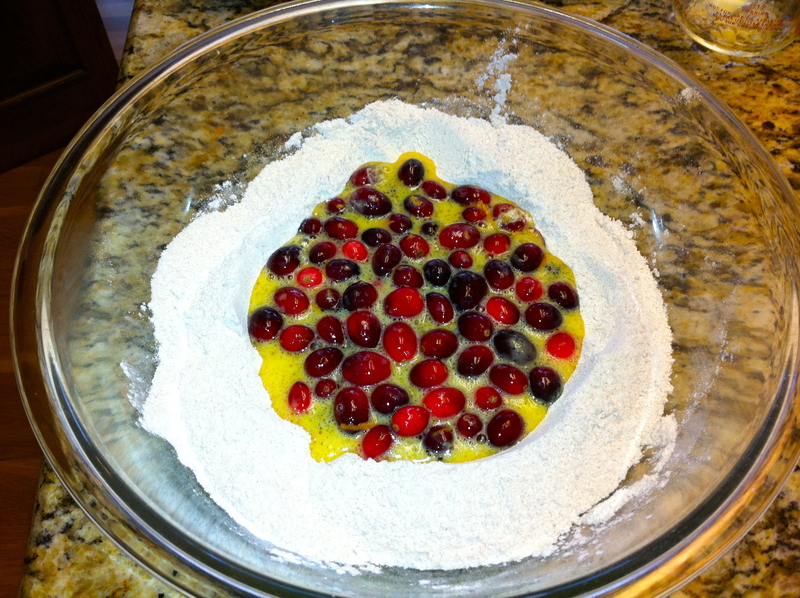 Orange is an awesome complement to cranberry and combined with whole wheat flour and just a touch of sugar these muffins are a treat you can feel good about eating. No need to feel guilty about eating one, or two, or maybe even three! 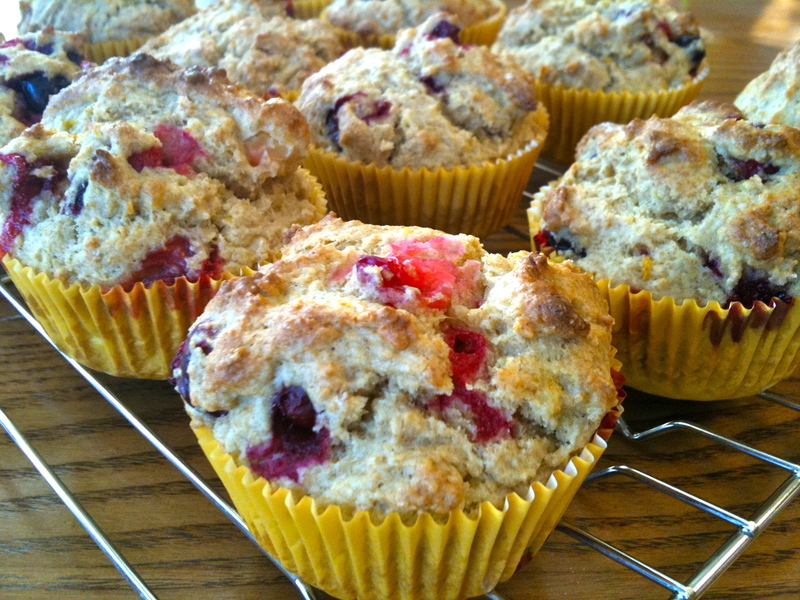 Adapted from Jean Pare’s cranberry muffin recipe in Company’s Coming Muffins and More. 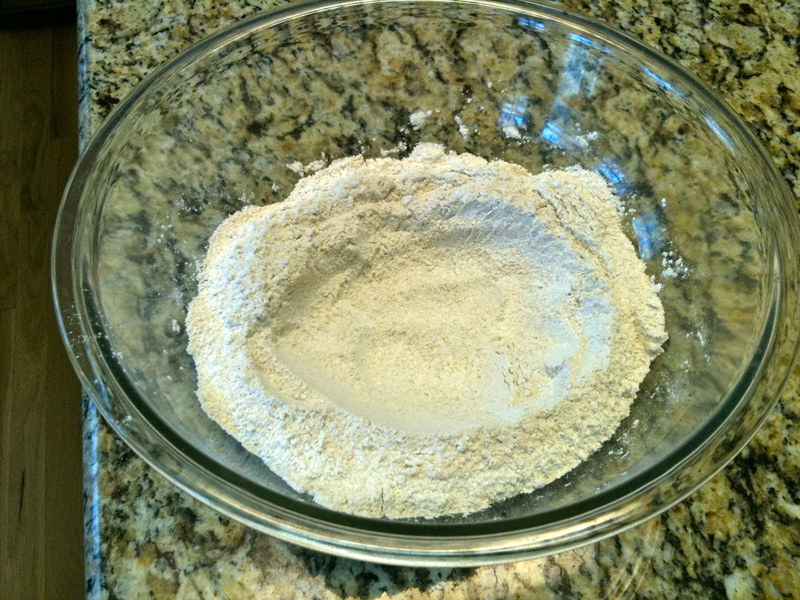 Mix together the flour, sugar, baking powder and salt in a large bowl. Once it is well mixed, make a well in the middle. 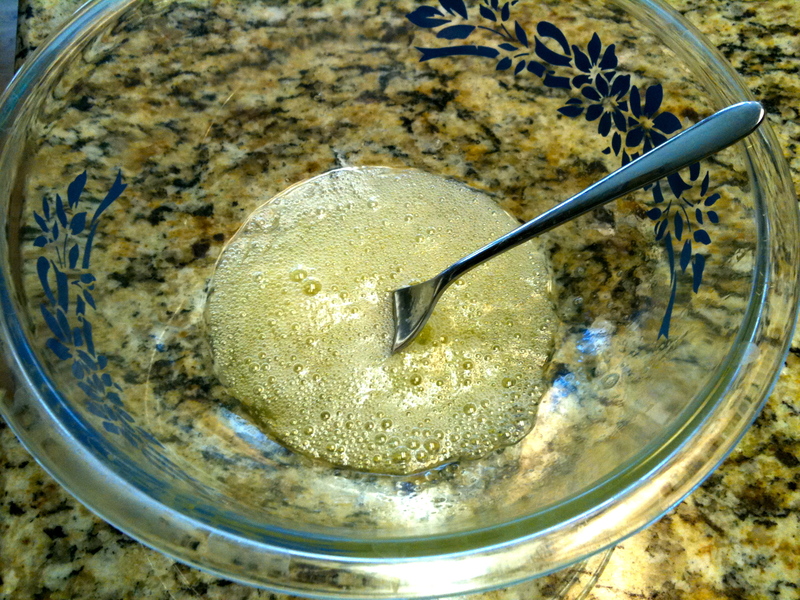 In a separate bowl beat eggs until frothy. 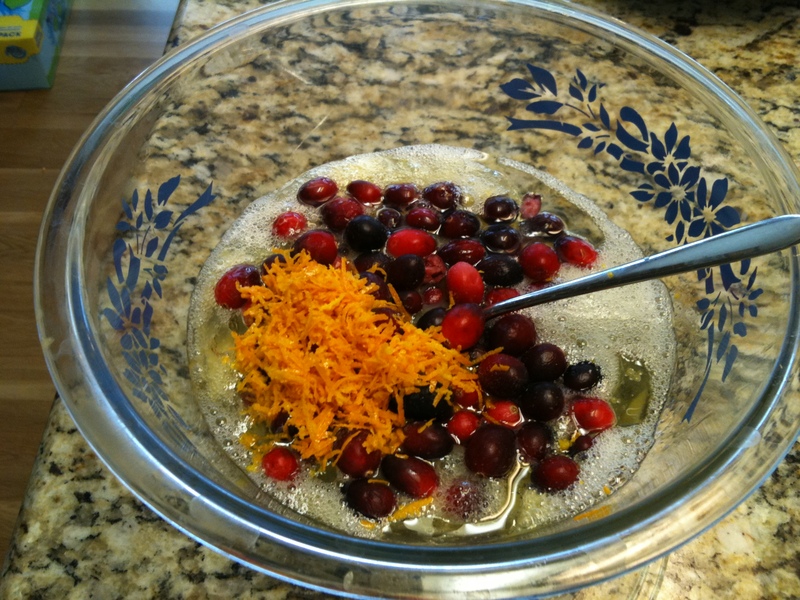 Mix in oil, orange juice, cranberries and grated orange rind. Pour the egg mixture into the well. Stir just enough to moisten. Add a little additional orange juice if it seems too dry. 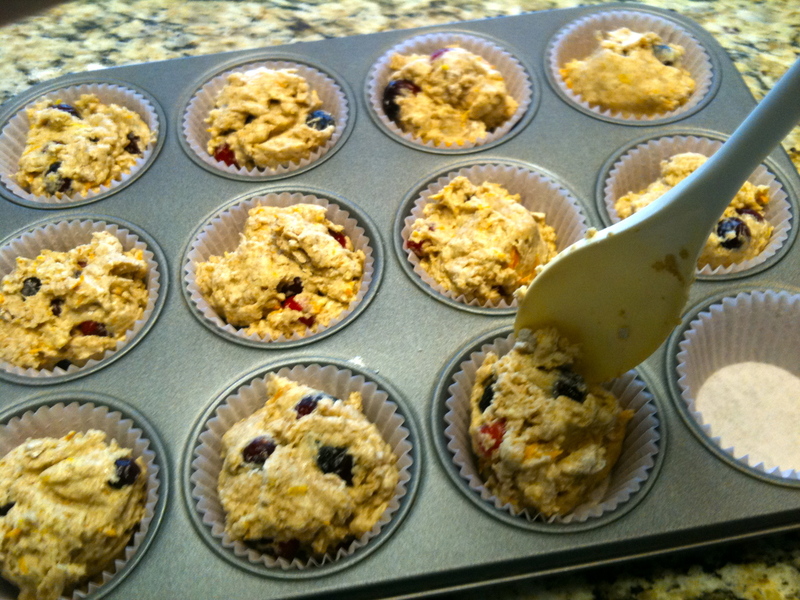 Spoon batter into lined or greased muffin tins. Bake at 400 degrees for 20-25 minutes.